The Autumn 2009 Bulletin has been sent to the printers this week but for those Members who cannot wait for theirs to be delivered there is a downloadable version now available to view online. 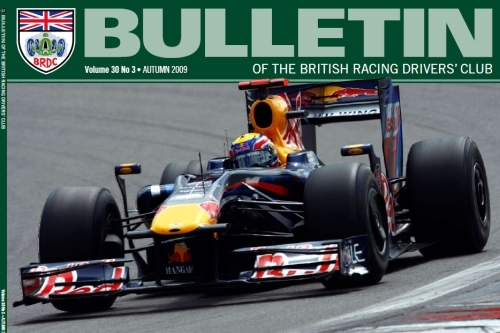 Features in this edition include a celebration of Sir Stirling Moss OBE’s 80th birthday, photographic memories of the 2009 British Grand Prix, a review of the Le Mans 24 Hour, British Touring Car Championship leader Colin Turkington ‘under the spotlight’ and news on the Superstars and Rising Stars. Please log into the Members’ Paddock section and select the Bulletin tab. For those BRDC Members who cannot remember their log-in, please contact Sarah in the office.